The typical band and face format has served the wristwatch well for a very long time, but maybe it’s time to shake it up a little. 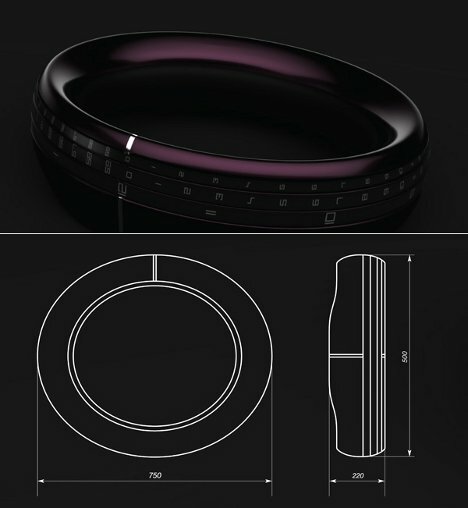 The Round-The-Clock concept from designer Kőrös Benedek looks more like a stylish bracelet, but a closer look reveals its true function as a unique timekeeping accessory. 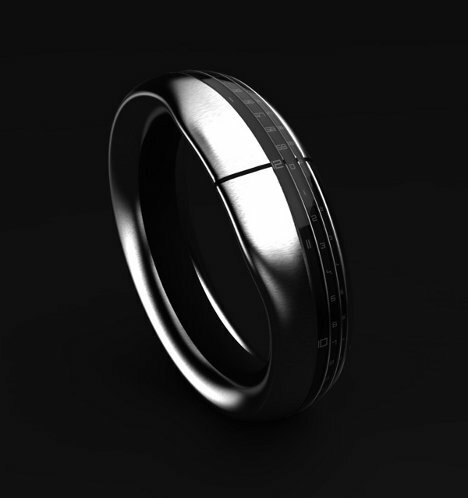 Stainless steel, rubber and plastic components encircle the wearer’s wrist like a bangle. One one end, three rings display numbers for the hour, minute and second. The rings rotate around the wrist as the time changes, with a thick black line indicating where to read the numbers. The Round-The-Clock design is a delightful departure from the same old watch design, displaying modern elegance in spades. It may not be suitable for the man who doesn’t enjoy wearing jewelry, but fashion-forward guys would snap it right up. See more in Clocks & Watches or under Gadgets. March, 2012.